Back in 2011, Kotaku introduced Mei Hata. Then eight years old, she was one of the best under-14 Gundam model makers in the world. She’s now 14 and is still making incredible dioramas. Recently, as My Game News reports, Hata was profiled on Japanese television. Her room is filled with Gundam models. The stereotype in Japan is that Gundam models are for men, especially older ones. Hata doesn’t fit that pigeonhole, but she does make excellent Gundam dioramas for her age or any age. Here’s what she was making in second grade. 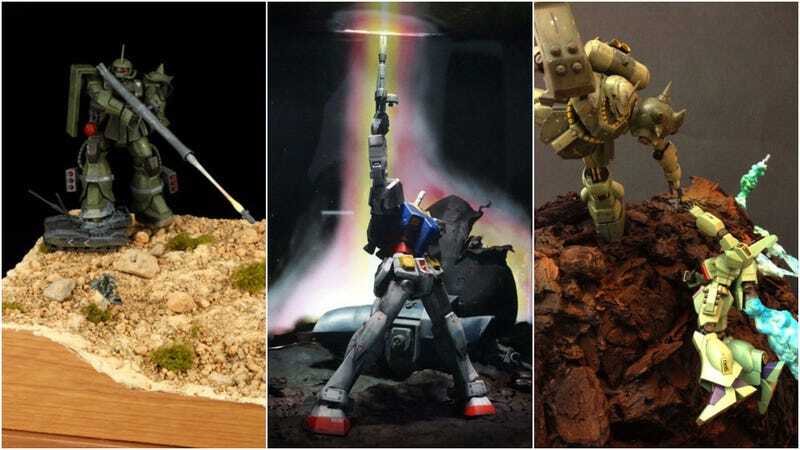 From second grade to sixth grade, Hata won top prize at the Gunpla Builders World Cup for her age group. Last year was the first time she did not. With the above piece, she came in third. Next year, Hata will turn 15 years old, so it will be the last year for her to compete in the division she’s dominated since second grade. After last time’s disappointing third place finish, she’s been working hard on her next piece. It looks like her new creation will use lights. Her brothers and sister are also into building Gundam models. So even if she doesn’t win, one of her siblings might be the next great under-14 builder.